My goal this week was to add a little more color to my wardrobe. I think that I accomplished this goal. Since Valentine’s Day was this week, I threw in a little red for good luck. My favorite out was February 12. I got this dress from Ross for $16. It came with the pearl chain belt (I love belts!). I paired it with some black ankle boots. I kind of felt like a sophisticated rocker. lol. 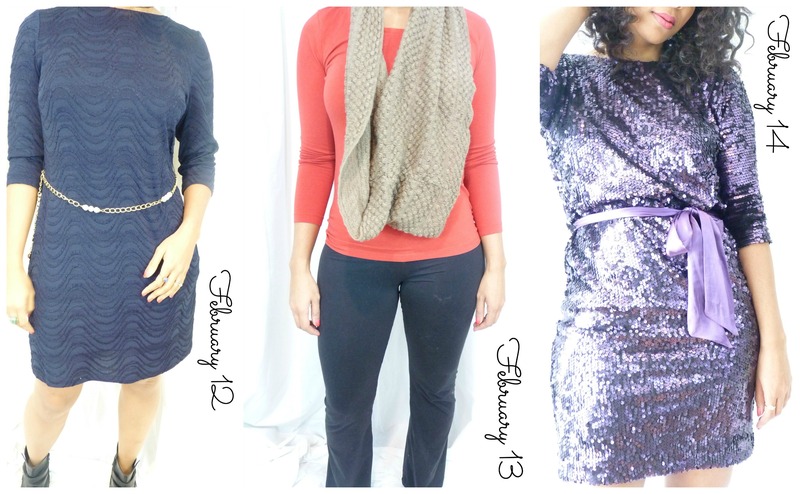 Which outfit was your favorite? Yesterday was my birthday! I’m finally 31 and over the mini hill. lol. I hope everyone had an awesome Valentine’s Day filled with love, chocolate, roses, and a lot of kisses! This entry was posted in Fashion and style and tagged fashion, february, style, valentines. Hey…doesn’t that picture look familiar? Lol. A good crafter makes use of what she has! Anyway, I love this Valentine because it gives you the element of surprise. 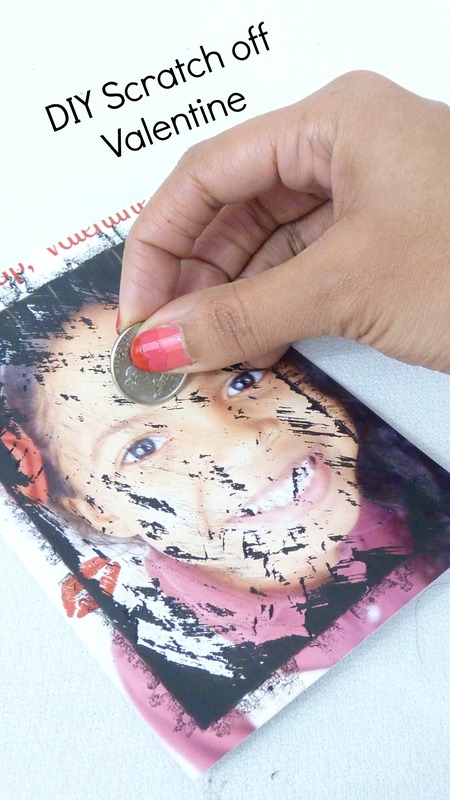 Just give your sweetie a coin and let them uncover your surprise message/photo. Wouldn’t it be super sweet if someone used this valentine as a proposal? Place masking tape around the edges of your photo (to mimic a polaroid) and tape to a piece of paper. Paint the photo. Let it dry about an hour. Paint another layer of the paint/soap mixture. Let it dry completely. Remove tape and write “Scratch Me!” at the bottom of the photo. Give your sweetie a coin and scratch off! 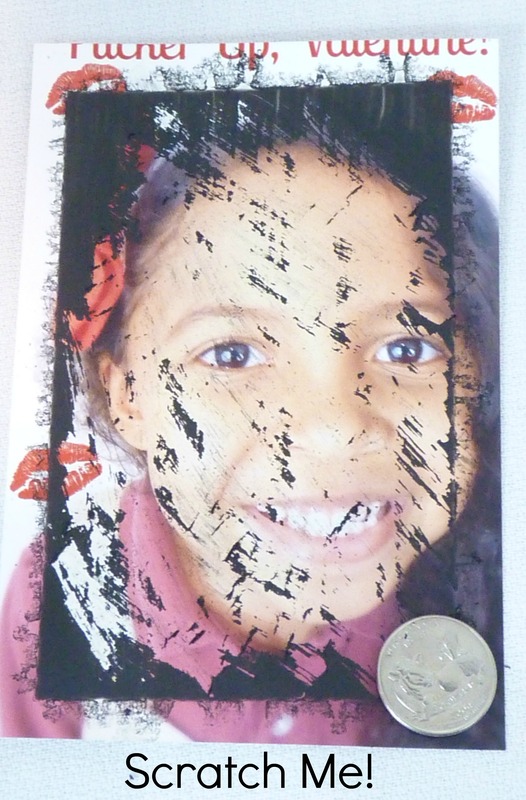 This entry was posted in DIY Projects and tagged creative, photo, scratch off, valentines. Tomorrow is Valentine’s Day! If you need a last minute valentine idea for your child, this is the valentine for you! 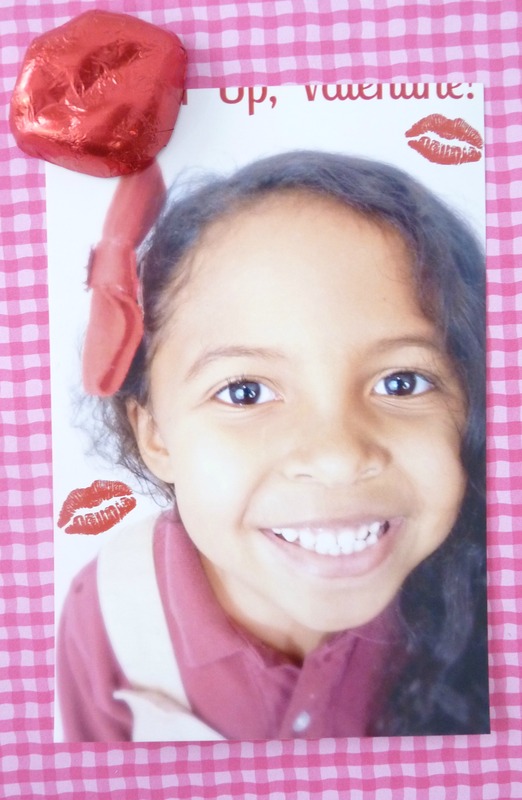 I love creative Valentine’s and when I saw online that used those chocolate lips, I knew that I had to make one for my youngest daughter. I took a close up picture of her. Then, using Picmonkey (if you have never used Picmonkey, you have to check it out. It’s an awesome free photo editor), I added the words and kisses. Next, I sent the pictures to CVS to be printed. Unfortunately, CVS chopped off half of the words at the top and all of the words at the bottom 😦 So, I had to add the words again using Picmonkey. I bought a bag of chocolate lips from the Dollar tree. I think these Valentines turned out pretty cute! 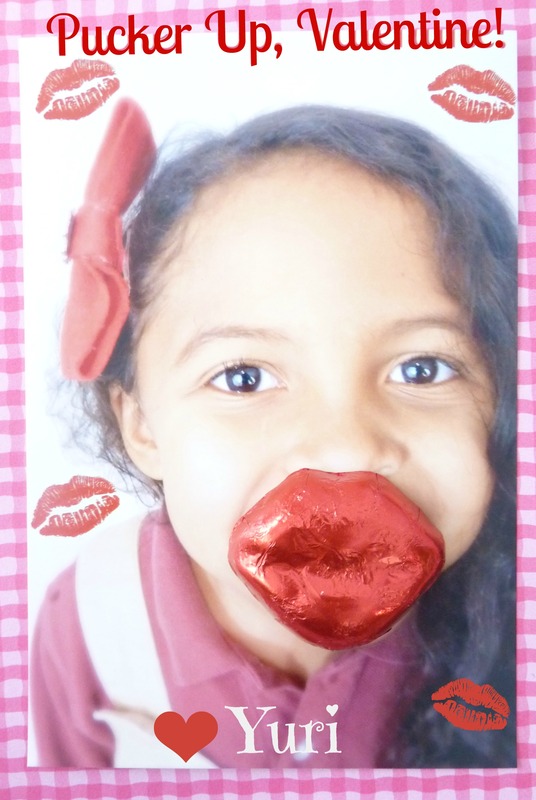 This entry was posted in DIY Projects and tagged cute, diy, lips, valentines. These nails are great way of showing off your Valentine spirit! I love the fact that they’re subtle and not too Valentiney (is that even a word?). Paint your nails with the lightest color pink. Let nails fully dry. Take 2 reinforcements and place them side by side (overlapping slighty to create a heart shape) towards the bottom of your nail. Paint your nails with a darker pink. Let nails fully dry. Repeat step 2. paint your nails with the red color. Find shades that aren’t too similar. The next time I try these nails, I will find a lighter base color. Put the reinforcements on all of your nails (both hands) first. Trust me. It’s so hard to try to put the reinforcments on when you have wet nails. This entry was posted in DIY Projects, Fashion and style and tagged heart, nails, ombre, valentines. 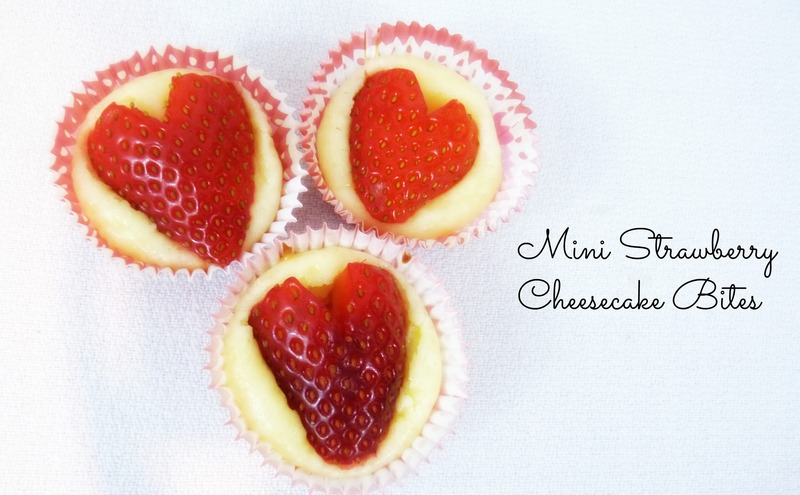 On my quest to find creative Valentine’s food, I found this awesome recipe for mini cheesecake bites. Can you say delicious? They were so yummy. I couldn’t eat just one! It was more like 5! Line mini-muffin pan with cupcake liners. In a mixer cream together cream cheese and sugar. Add lemon juice and egg. In a sandwich bag, crush graham crackers. Add butter in small increments until mixture is sticky. Spoon graham cracker mixture into the bottom of muffin tins. 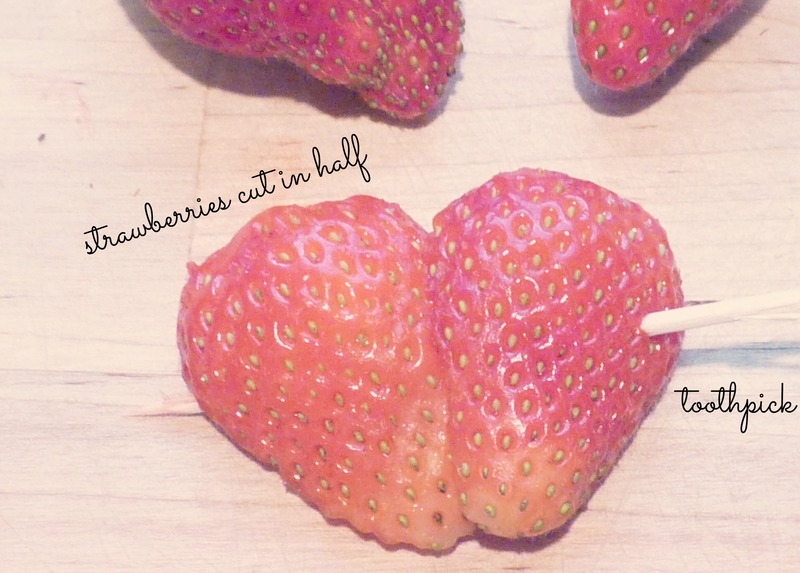 While cheesecakes are baking slice strawberries in half and cut a “v” in the top to create heart shape. Immediately after removing cheesecakes from oven, press strawberry hearts into the top of each cake. 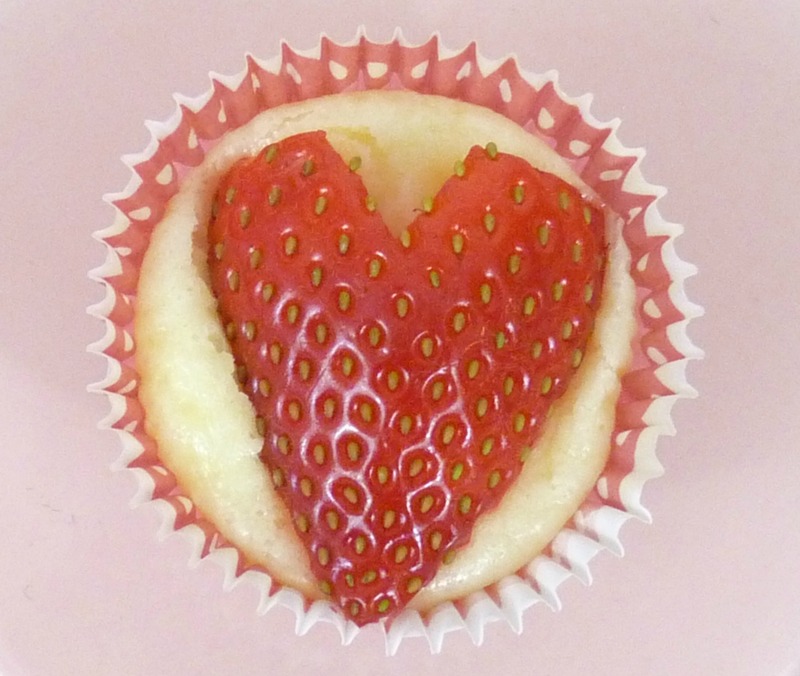 This entry was posted in Recipes and tagged heart, mini cheesecake, strawberry, valentines. 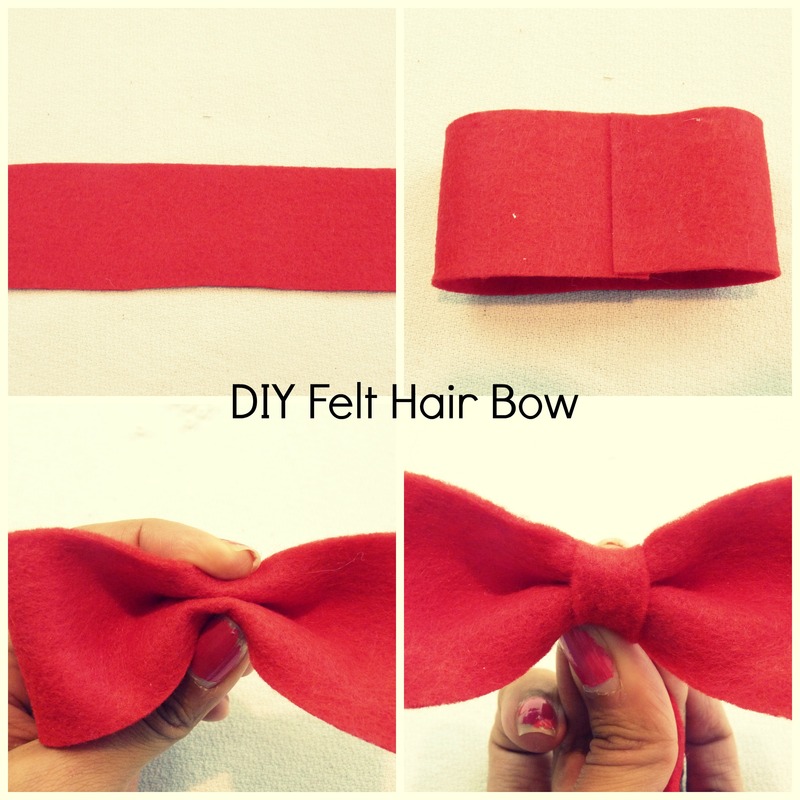 Add a little color to your Valentine’s outfit with this super easy (and super cute) felt hair bow. Now my girls wanted to make their own hair bows (theirs are the ones to the left). So, you can see it’s easy enough for a 5 and 7 year old to do. Step 1 – Cut the felt into two strips (one about 2 inches thick and the other about 1/2 inch). Step 2 – Fold and glue the bigger strip to form a loop. Step 3 – Scrunch the loop. Step 4 – While holding the scrunched loop, wrap the smaller strip tightly around the bow and glue. Step 5 – Glue on any embellishments to your bow. Step 6 – Glue your bow to the hair clip. This entry was posted in DIY Projects, Fashion and style, Hair and tagged hair, hair bow, red, valentines. I am so behind on my Valentine’s Day crafts :(. I’ve had the flu. Now I’m playing catch up to post all of my crafts. 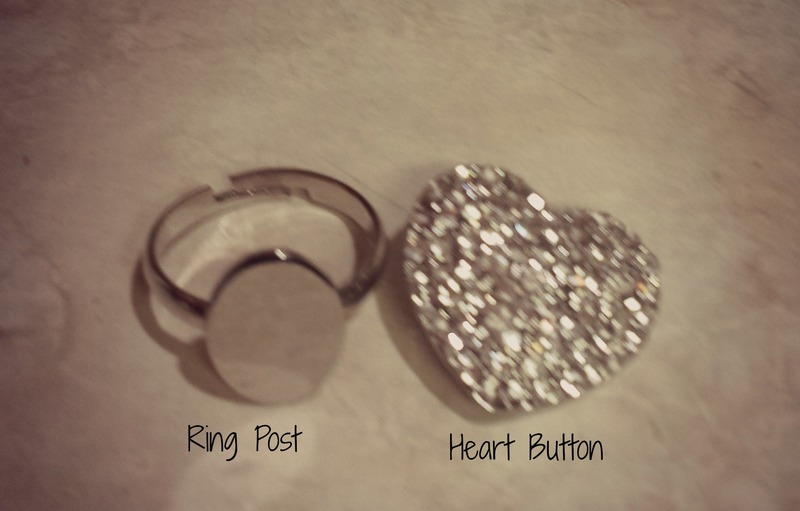 Anyway, I have had this diamond heart button for a while now. I am so happy that I finally decided to make ths ring. First of all, it is FABULOUS! lol. Second of all, it took all of 2 seconds to make (which I like because nowadays, time is limited!). I bought the button and ring post from Joann’s. Now the button was a bit expensive for my taste ($7), but I had a 40% off coupon. Step 1 – Remove the shank (the part on the back of the button that sticks out) with some pliers. Step 2 – Remove the oval shape on the ring post. I couldn’t remove all of the shank. If you are able to remove the shank completely, then skip this step. Step 3 – Hot glue the button to the ring. 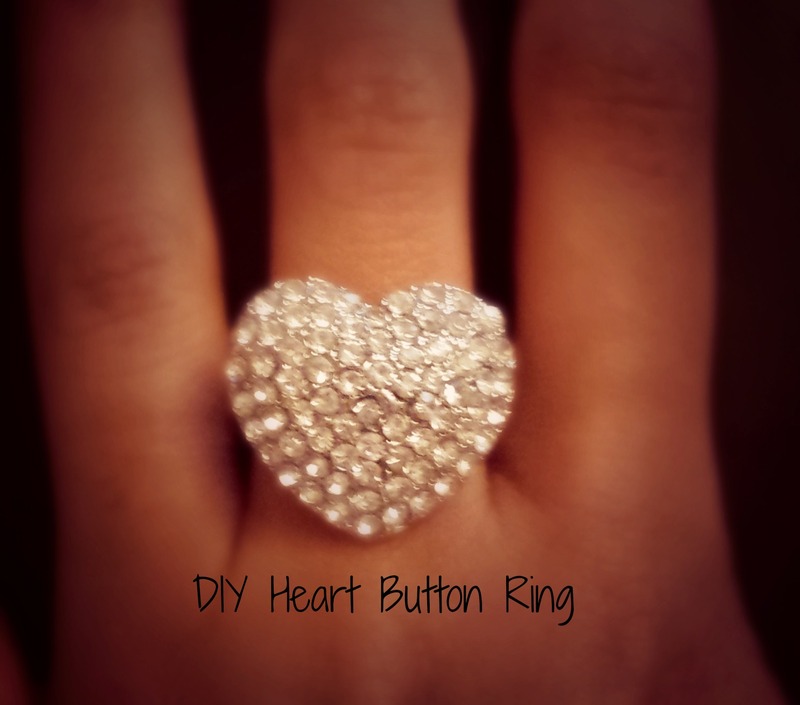 This entry was posted in DIY Projects, Fashion and style and tagged button, diy, heart, ring, valentines. 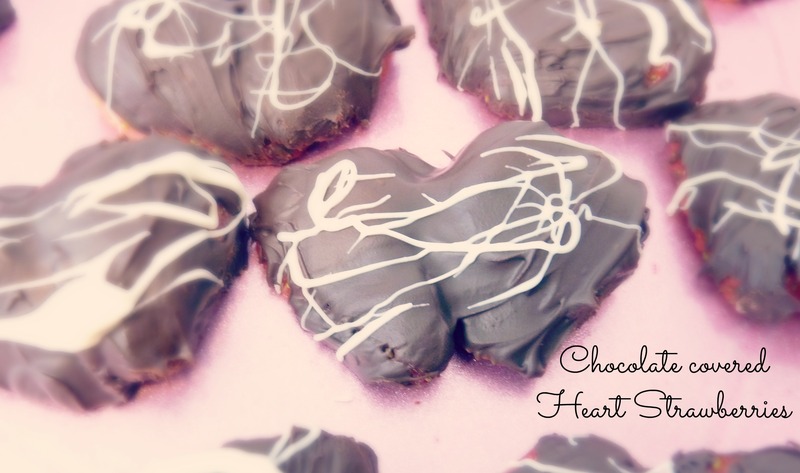 Make your sweetie’s heart melt (or is it freeze? lol) with this delicious frozen treat. You know that I love Pinterest. I found this yummy recipe on Pinterest. I just knew that it would be perfect for a Valentine’s day treat. I added a little red food coloring to give it a pink tint. My familly all loved this drink and wanted MORE! Put the white chocolate chips and the half and half into a microwave safe bowl. Heat for 1 minute, stopping to stir half way through. Continue to heat until melted and smooth. Add the hot chocolate mix, sugar, and food coloring, stirring constantly until thoroughly blended. Slowly add 1/2 cup of the milk and stir until smooth. Cool to room temperature. In a blender, add the remaining cup of milk, the chocolate mixture, and the ice. Blend on high speed until smooth and the consistency of a frozen daiquiri. Pour into a cup and top with whipped cream. 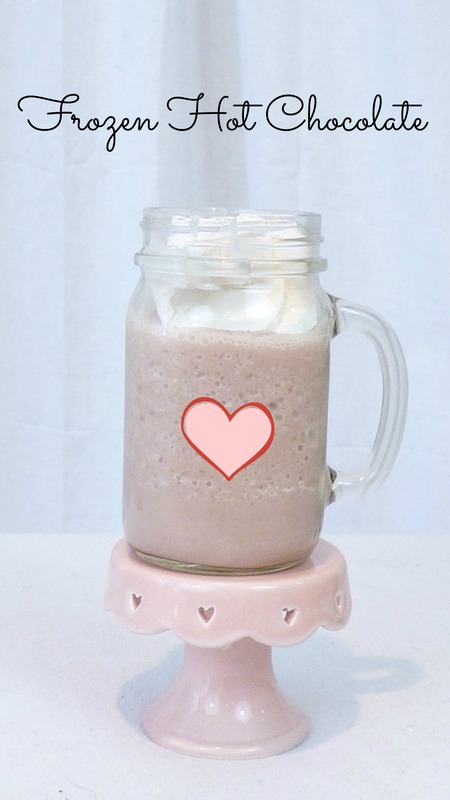 This entry was posted in Recipes and tagged dessert, frozen treat, hot chocolate, pink, valentines, white. I saw this incredible photo of lips with a glitter heart on them. It was so cute. 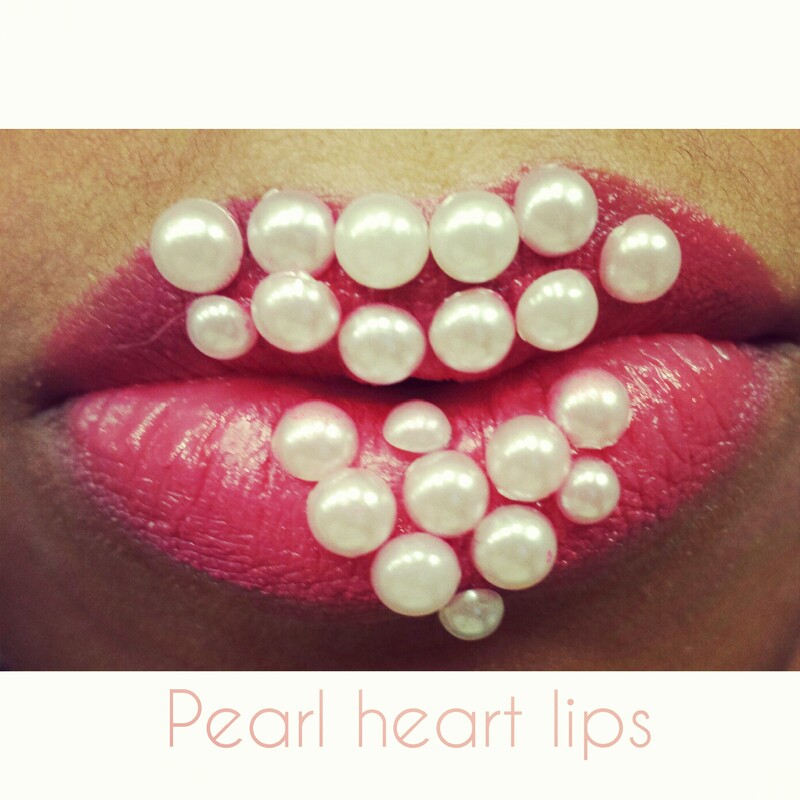 So, this was my attempt to create those lips but with pearls. I began by putting on pink lipstick. Then I added the pearls with an adhesive on the back. I tried to do a heart shape (it’s a little lopsided). Lol. But I think it turned out pretty cute. I kissed everyone at my house just to make sure these lips are kissable. They are! Haha! 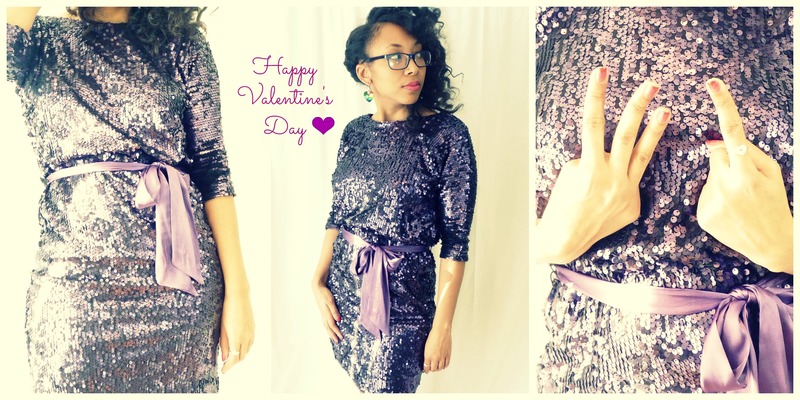 This entry was posted in Fashion and style and tagged heart, lipstick, pearls, valentines.